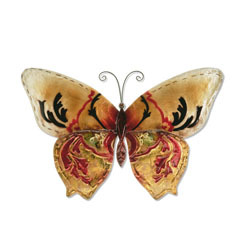 The wings of this butterfly are divided into two parts. 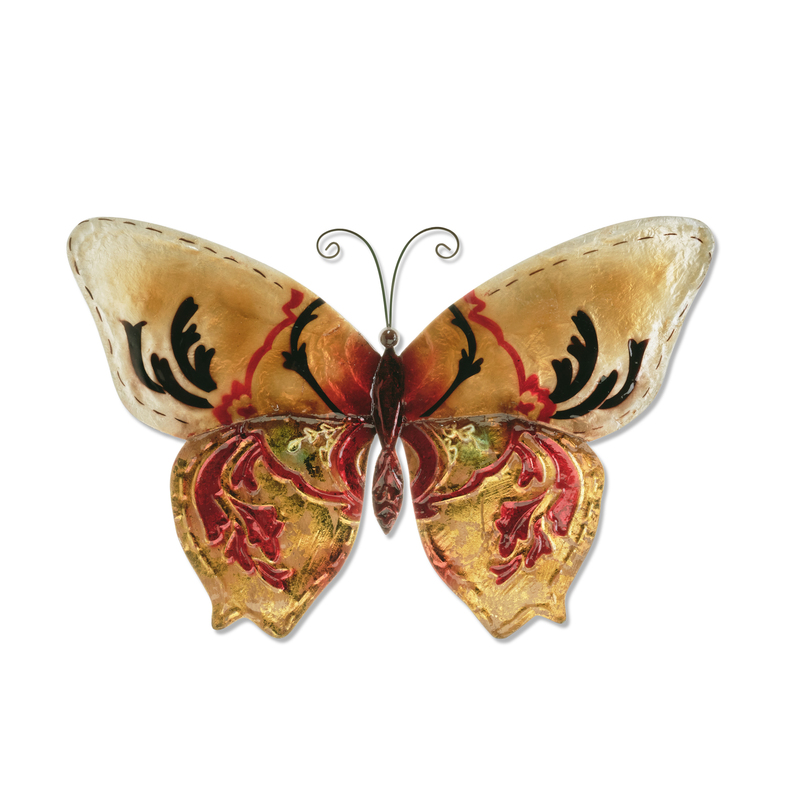 Soft muted warm colors are hand-painted onto mother of pearl oyster shells on the upper portion of the wings. The lower portion of the wings contrast with bold lines crafted into the tin and a metallic paint finish.